Humidifiers can ease problems caused by dry air. Dry sinuses, bloody noses and cracked lips — humidifiers can help soothe these familiar problems caused by dry indoor air. Humidifiers can also help ease symptoms of a cold or another respiratory condition. But be cautious, they need regular maintenance. 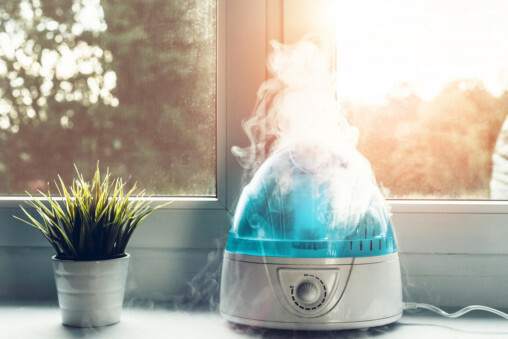 Although useful, humidifiers can become a household health hazard and actually make you sick if they aren’t maintained properly or if humidity levels stay too high. If you use humidifiers, be sure to monitor humidity levels and keep your humidifier clean. Dirty humidifiers can breed mould or bacteria. If you have allergies or asthma, talk to your doctor before using a humidifier. — Central humidifiers are built into home heating and air conditioning systems and are designed to humidify the whole house. 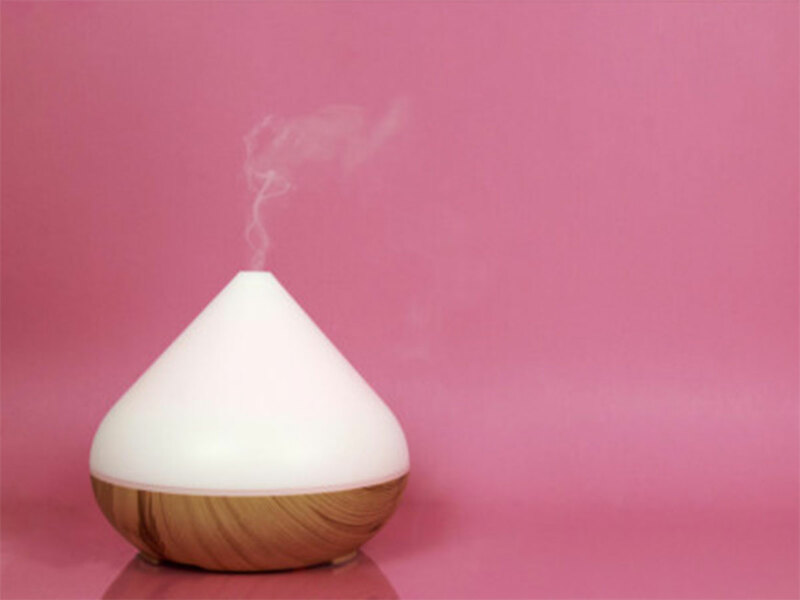 — Ultrasonic humidifiers produce a cool mist with ultrasonic vibration. — Impeller humidifiers produce a cool mist with a rotating disk. — Evaporators use a fan to blow air through a wet wick, filter or belt. — Steam vaporisers use electricity to create steam that cools before leaving the machine. Avoid this type of humidifier if you have children; hot water inside this type of humidifier may cause burns if spilled. Humidity is the amount of water vapour in the air. The amount of humidity varies depending on the season, weather and where you live. Generally, humidity levels are higher in the summer and lower during winter months. Ideally, humidity in your home should be between 30 and 50 per cent. Humidity that’s too low or too high can cause problems. — Low humidity can cause dry skin, irritate your nasal passages and throat and make your eyes itchy. — High humidity can make your home feel stuffy and can cause condensation on walls, floors and other surfaces that triggers the growth of harmful bacteria, dust mites and moulds. These allergens can cause respiratory problems and trigger allergy and asthma flare-ups. If you or your child has asthma or allergies, talk to your healthcare provider before using a humidifier. Increased humidity may ease breathing in children and adults who have asthma or allergies, especially during a respiratory infection such as a cold. But dirty mist or increased growth of allergens caused by high humidity can trigger or worsen asthma and allergy symptoms. — Use an air conditioner. Dirty reservoirs and filters in humidifiers can quickly breed bacteria and mould. Dirty humidifiers can be especially problematic for people with asthma and allergies, but even in healthy people humidifiers have the potential to trigger flu-like symptoms or even lung infections when the contaminated mist or steam is released into the air. Steam vaporisers or evaporators may be less likely to release airborne allergens than cool-mist humidifiers. — Use distilled or demineralised water. Tap water contains minerals that can create deposits inside your humidifier that promote bacterial growth. And, when released into the air, these minerals often appear as white dust on your furniture. You may also breathe in some minerals that are dispersed into the air. Distilled or demineralised water has a much lower mineral content compared with tap water. In addition, use demineralisation cartridges or filters if recommended by the manufacturer. — Change humidifier water often. — Clean humidifiers every three days. Unplug the humidifier before you clean it. Remove any mineral deposits or film from the tank or other parts of the humidifier with a 3 per cent hydrogen peroxide solution, which is available at pharmacies. Some manufacturers recommend using chlorine bleach or other disinfectants. — Always rinse the tank after cleaning to keep harmful chemicals from becoming airborne — and then inhaled. — Change humidifier filters regularly. If the humidifier has a filter, change it at least as often as the manufacturer recommends — and more often if it’s dirty. Also regularly change the filter in your central air conditioning and heating system. — Keep the area around humidifiers dry. If the area around a humidifier becomes damp or wet — including windows, carpeting, drapes or tablecloths — turn the humidifier down or reduce how frequently you use it. — Prepare humidifiers for storage. Drain and clean humidifiers before storing them. And then clean them again when you take them out of storage for use. Throw away all used cartridges, cassettes or filters. — Follow instructions for central humidifiers. — Consider replacing old humidifiers.